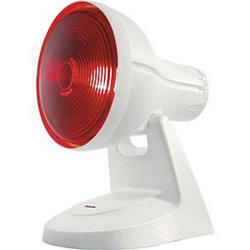 Our product range includes a wide range of infra red lamp. Our customers can avail from us a wide range of Infra Red Lamp. These lamps are electrical devices that emit infrared radiation and used for communication and heating purposes. The lamp works on the principle, that it transmits infrared radiation to the body that is subjected to heat. Moreover, we supply these lamps to Philips, Holland & Sankyo Denki, Japan. Looking for Infra Red Lamp ?